It happens so suddenly, doesn't it? One day you're enjoying icy drinks and planning your summer weekends and the next thing you know it's the end of August and darkness falls before your little one's soccer game ends. How can the start of school be only two weeks away? For a girl going into Grade 2, apparently having matching gear is really important so I like how the Home collection is easy to coordinate. 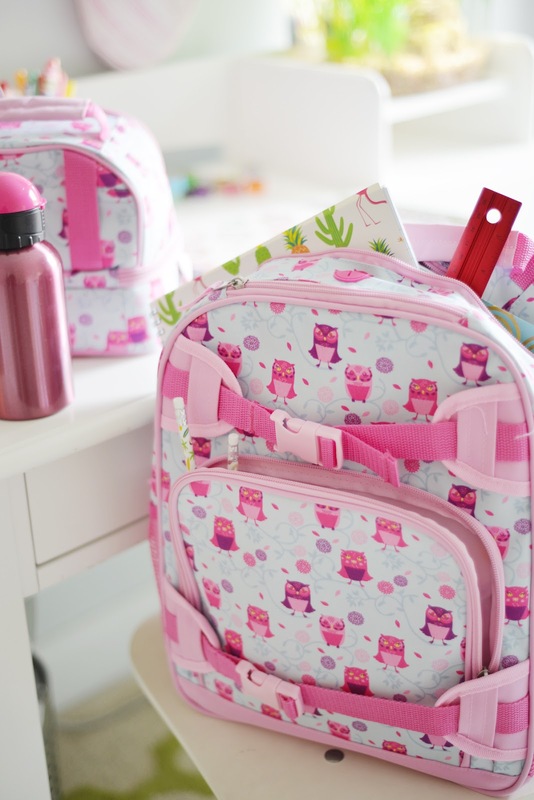 The JKW Kids backpacks, insulated lunch bags, and food jars come in styles and colours appealing to boys and girls. 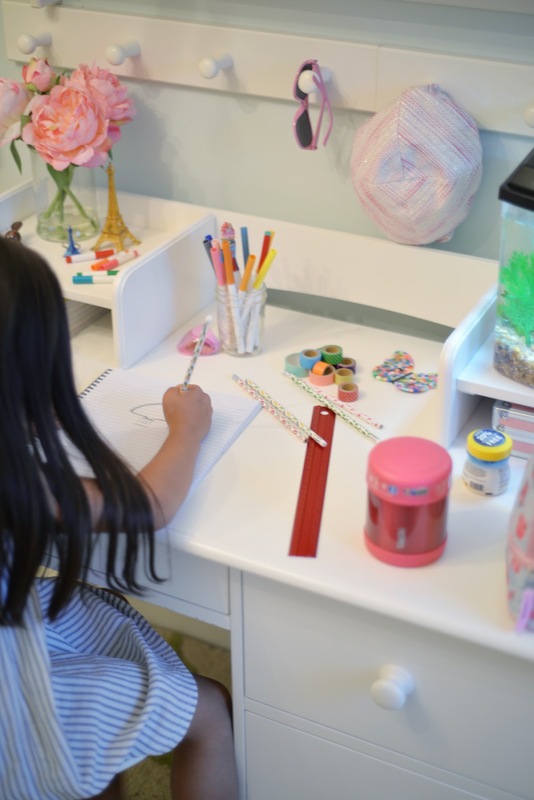 Chloe had a purple water bottle last year similar to the pink one in the video and we can attest that these products are durable too and really stand up to daily use. 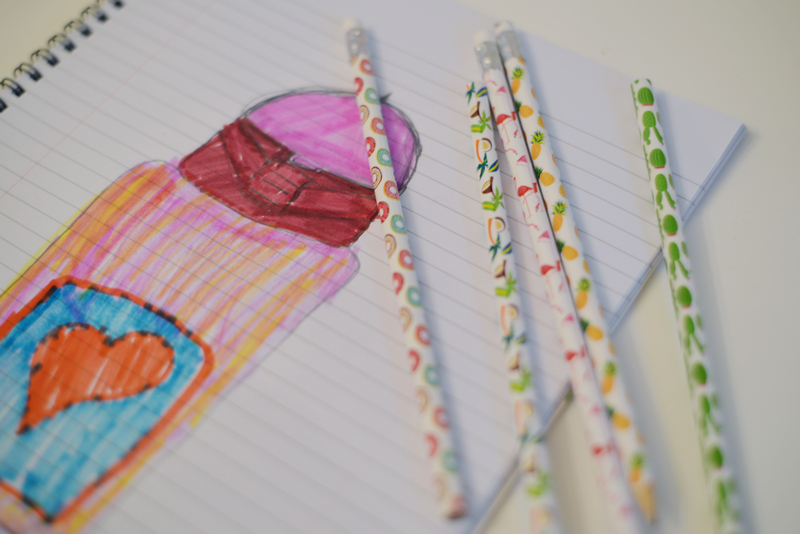 Chloe's favourite thing by far was the Everyday Essentials™ 6 pack of Patterned Pencils. The apple doesn't fall far from the tree... 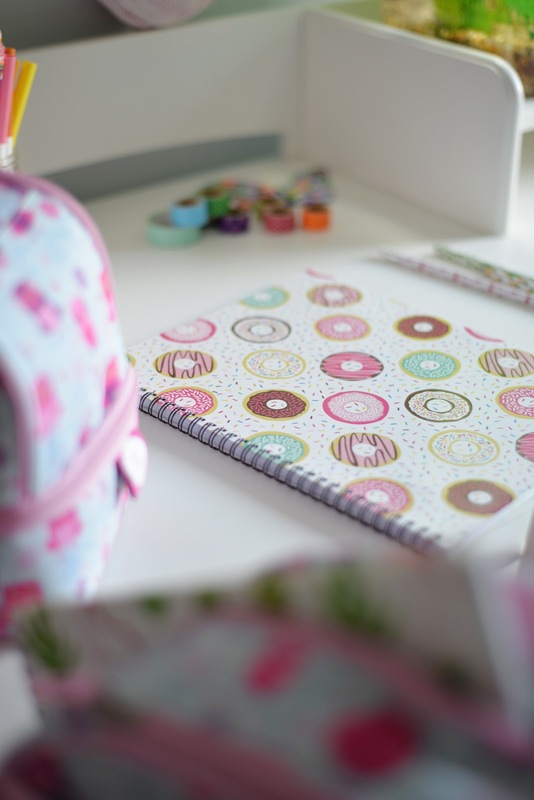 I find I'm much more productive (and happier) to work if I have a pretty pencil and cute notebook at hand. I mean, who wouldn't want a pineapple pencil on their desk?? Instant happiness! As a mom, two things I do look for are ease of use and suitability to a child's size. Does the backpack fit properly? Can she open and close all of the compartments easily? Does the bag have supportive straps and strong closures? Is it well constructed? This one looks to check off all those markers and it's at a great price point as well. The bag is a good size, roomy enough to hold lunch and her agenda with enough 'secret' compartments to house the countless rocks, melty bead sculptures, random pieces of paper, and found objects that somehow always make their way home. Picking the back to school gear was the fun and easy part. Now I'm stressing about what to put inside that bag. A week into the new school year and I'll probably have run out of school lunch ideas!